"Dr. Blum is truly the best surgeon." "Dr Blum was FANTASTIC, excellent bedside manner & VERY skilled as my new look has shown." "The staff was very friendly, I was very comfortable with Dr. Blum." "I traveled hours to go see Dr. Blum. All of my friends go to his Botox happy hour." With decades of surgeries and patient care under his belt, Mitchell Blum, MD, FACS, of Blum Facial Surgery in Tracy, California and Inspiration Beauty in Menlo Park, California, is one of the most sought-after and experienced facial plastic and reconstructive surgeons in northern California. After earning his undergraduate degree from Franklin and Marshall College in Lancaster, Pennsylvania, Dr. Blum completed his medical degree at Hahnemann University in Philadelphia. He went on to complete his surgical residency at Allentown Hospital in Allentown, Pennsylvania, and went through additional residency training in otolaryngology at Washington Hospital Center in Washington. Dr. Blum has extensive surgical training and is a fellow of the American College of Surgeons. During his time as an officer in the United States Air Force, Dr. Blum was made chief of otolaryngology at the former US Air Force Hospital at Mather Air Force Base near Sacramento. Before starting his practice, he was an associate clinical professor at the University of California Davis Medical Center in Sacramento, California. When he isn’t serving patients, Dr. Blum enjoys spending time with his wife, children, and grandchildren. He’s also an avid skier and loves playing tennis, sailing, and tackling the New York Times crossword puzzle on Sundays. Dr. Blum welcomes new patients at Blum Facial Surgery. Whether you’re seeking a minor ear pinning procedure (otoplasty) or an extensive nose job (rhinoplasty) to improve your breathing, he is pleased to assist. If you’re looking for nonsurgical aesthetic and laser treatments, Dr. Blum has a second location in Menlo Park, California, at Inspiration Beauty. This practice specializes in minimally-invasive cosmetic techniques that help you to look your best. Viora V20 provides treatment solutions for the most requested applications, including hair removal, skin rejuvenation, skin tightening, acne clearance and more! "I highly recommend Dr. Mitchell Blum and Blum Facial Surgery to all of my patients who have botox or cosmetic surgery needs." "Dr. Blum is brilliant and has over 30 years of experience, which made me feel very comfortable with him as my plastic surgeon." 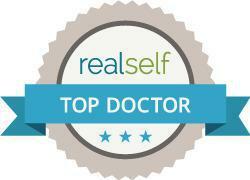 "Thank you Dr. Blum you are a life saver, you restore confidence, and beauty that I felt was once lost." "As the editor of LookYounger News, I've been very impressed to see Dr. Blum's outstanding results, as his Before and After photos show." "I just have to say Dr. Blum is truly the best surgeon. I came to him for a revision surgery and I was so amazed by his work that I literally cried. Thank you Dr. Blum!"